The Ford Model T is among the most iconic vehicles, with nearly everyone in the world agreeing that this auto is a true classic. 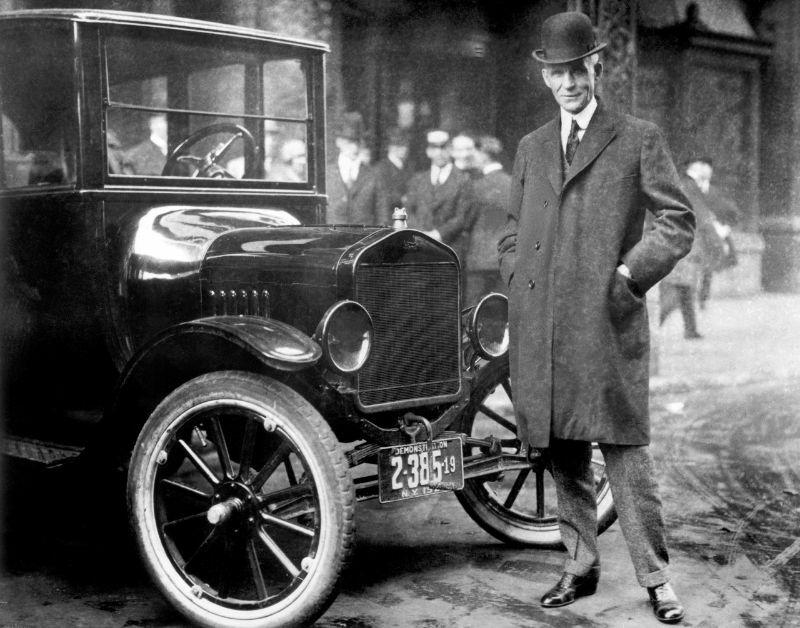 Ford Motor Company produced the Model T between Oct. 1, 1908, and May 26, 1927. 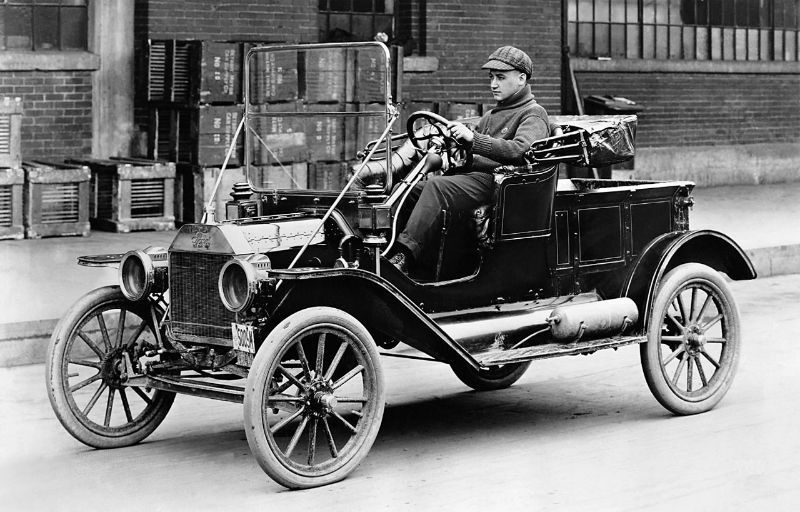 The Model T was widely known as the first automobile that was actually affordable. It was the Model T that made it possible for the average middle-class American to drive a car. 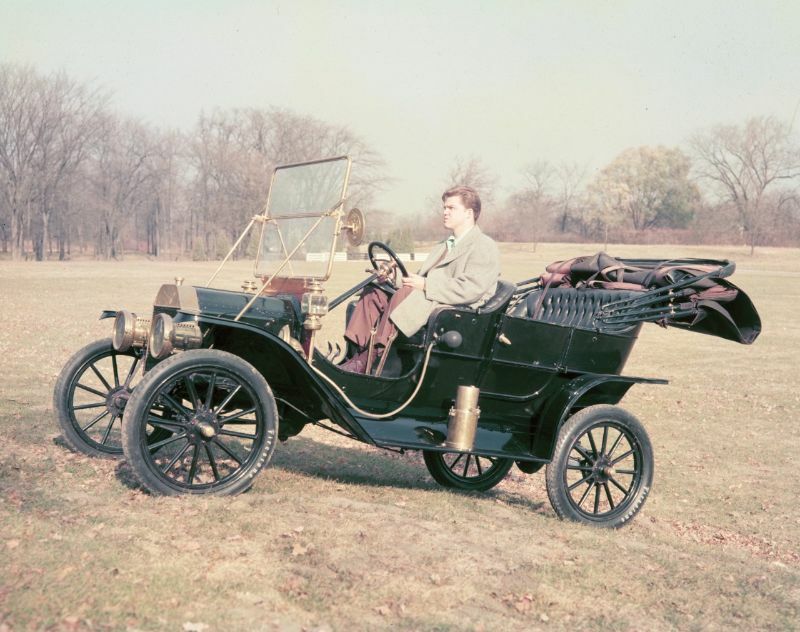 Childe Harold Wills, Joseph A. Galamb, and Eugene Farkas designed the Ford Model T, with other team members including Peter E. Martin, Gus Degner, C.J. Smith, and Henry Love. 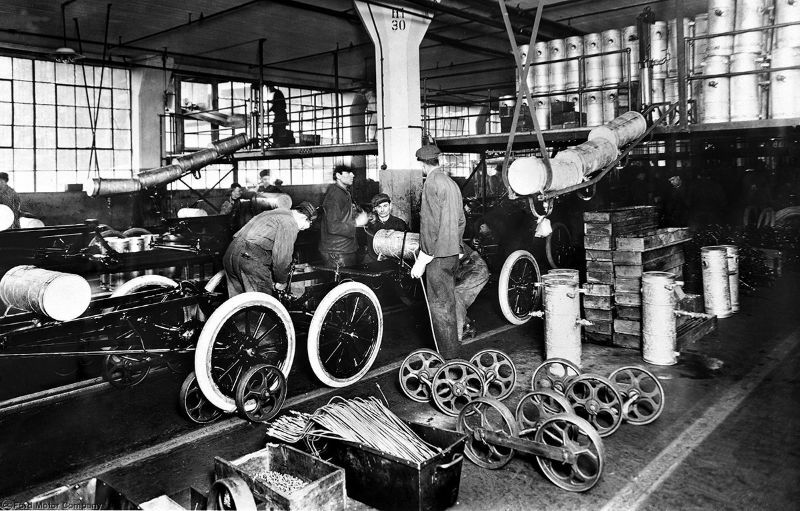 The Model T’s production began in 1908, during the third quarter. At the time, there was no concept of the current idea of model years since cars were not mass-produced or affordable yet. However, there were still design revisions throughout the Model T’s production run. The Model T used a front-mounted 2.9-liter four-cylinder engine that generated 20 horsepower and was able to reach up to 40 to 45 miles per hour. The fuel economy was around 13 to 21 mpg. Originally, it was able to run on gasoline, ethanol, or kerosene. Between the introduction of prohibition and decreasing gasoline costs, most users slowly switched to gas. The first 2,447 Model Ts had water pumps to cool the engines, with most of the later models being cooled via thermosiphon action. The Model T’s ignition system relied on a low-voltage magneto in the flywheel for an alternating current sent to the trembler coils, which drove the spark plugs. This ignition allowed for the fuel flexibility of the Model T and did not require a starting battery, instead using hand-cranking. The Model T used rear-wheel drive, and the transmission was a “three-speed” planetary gear. By today’s standards, it would be a two-speed since one of those three speeds was actually reverse. To control the transmission, the driver used three foot pedals as well as a lever. A lever on the steering wheel controlled the throttle. The suspension had a semi-elliptical spring that was transversely mounted on each beam axle. This allowed for plenty of wheel movement, an essential given the dirt roads at the time. Experts frequently divide the Ford Model T into separate style generations. The most obvious differences between them were on the cowl and hood areas, although other modifications also occurred. 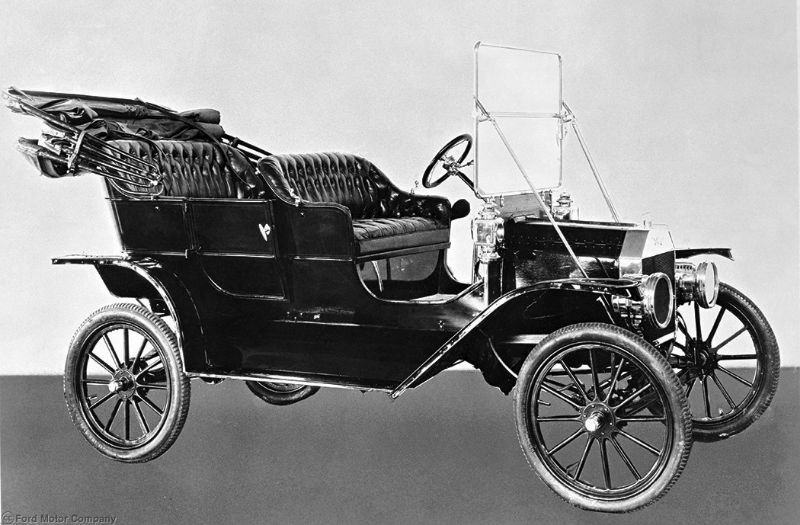 From 1909 to 1914, the Model T had a five-sided hood that was nearly straight and featured a flat top with a center hinge plus two side-sloping sections. There was a flat firewall without a distinct cowl. In 1915, the obvious change was Ford adding louvers on the vertical sides. The cowl area included a relocation of the windshield behind the firewall, adding a compound-contoured cowl panel. In 1917, the hood design became tapered with a curved top. It featured folding hinges by the joint between this top and the flat sides, referred to as the low hood. The back portion of the hood touched the cowl panel’s front edge, meaning none of the flat firewall could be seen outside the hood. This particular design lasted until 1923, making it the longest-lasting design as well as the design used during the most popular years. As such, around half of Model Ts produced had this design. 1923 saw an increase in the taper of the hood, with the rear portion of the firewall growing in height and width. In 1926, the hood grew, along with a significant increase to the distance separating the windshield and firewall.